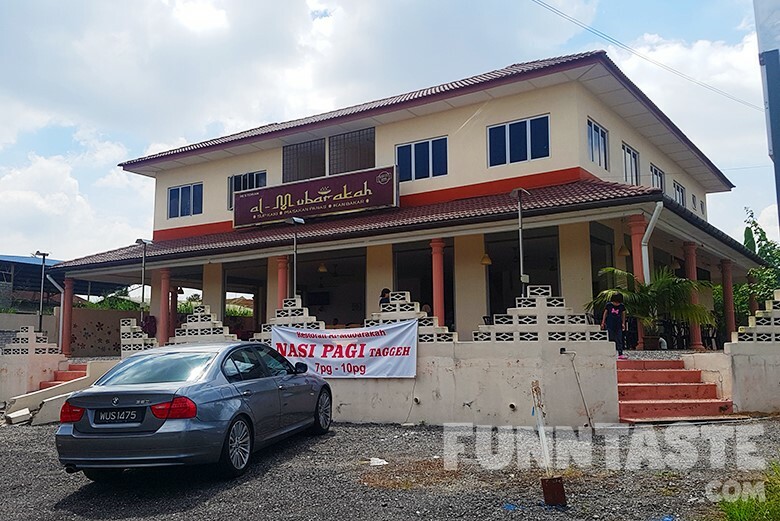 Despite being in the market for only 4 years, Nasi Dulang Daun Pisang has established itself as one of the best places to eat around Sungai Ramal, Kajang. 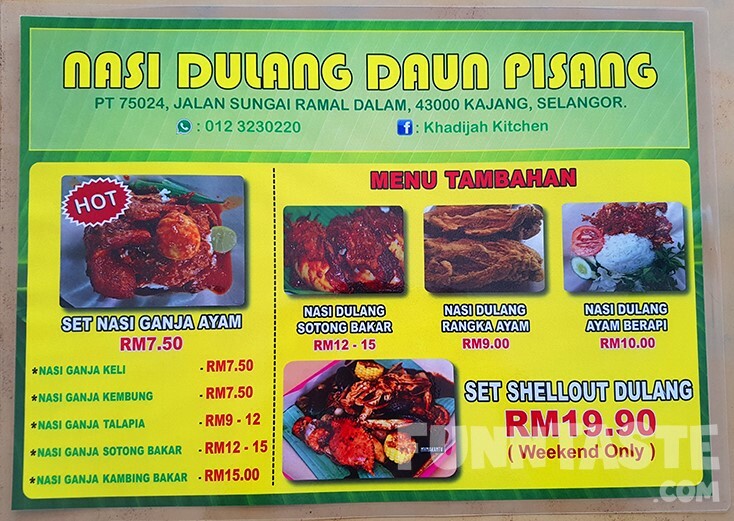 For people living outside of Kajang, Nasi Dulang Daun Pisang is a hidden gem that sells excellent Nasi Dulang in banana leaf. 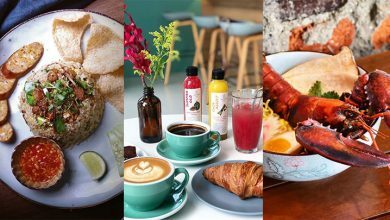 A delicious Nasi Dulang is a rare find in the Klang Valley and although Nasi Dulang Daun Pisang is quite far from the city, we’ll say it’s worth the 30 minutes’ drive. 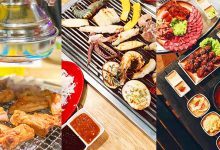 Their simple two page menu predominately features Nasi Dulang, mainly Chicken, Fish and Seafood. 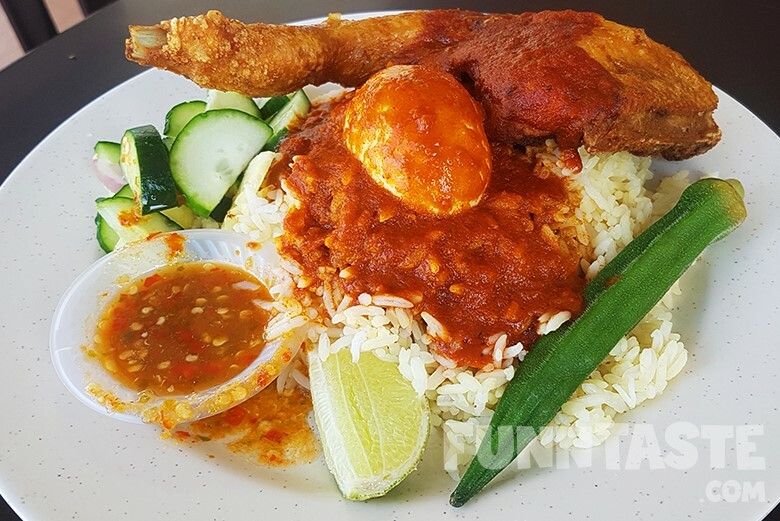 There are approximately 2 dozens Nasi Dulang dish to choose from and prices range from RM7.50 – RM15. For fried Chicken Lovers, their Set Dulang Ayam @ RM7.50 is not to be missed. The chicken is marinated with 6 different spices and is always fried-to-order. By default, all Nasi Dulang set comes with 4 topping –Air Asam, Sambal Belacan, Sambal Penyet and Masak Lemak. 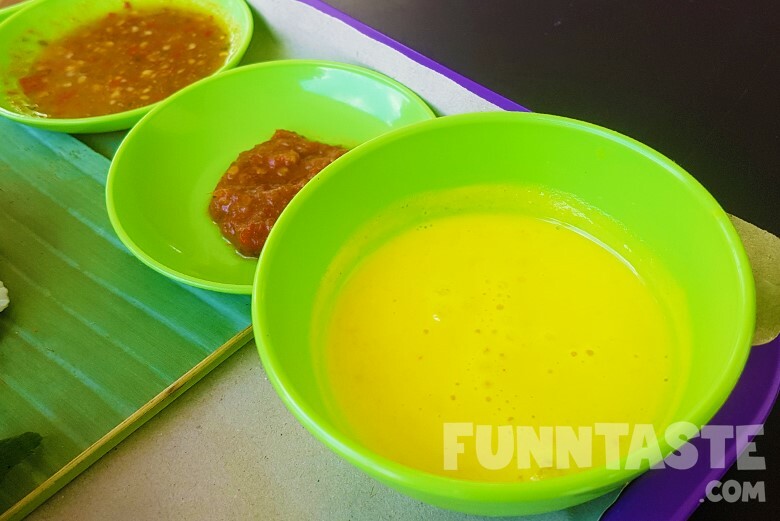 The Masak Lemak sauce was super thick and packed with amazing flavours. The sauce is homemade and it certainly helped elevate this dish from being a regular Nasi Dulang. You can refill the Masak Lemak for only RM0.30. 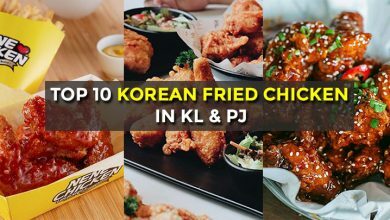 Because it was well-marinated and fried to order, the fried chicken was hot and fragrant. The skin was crispy and the flesh was tender and juicy. 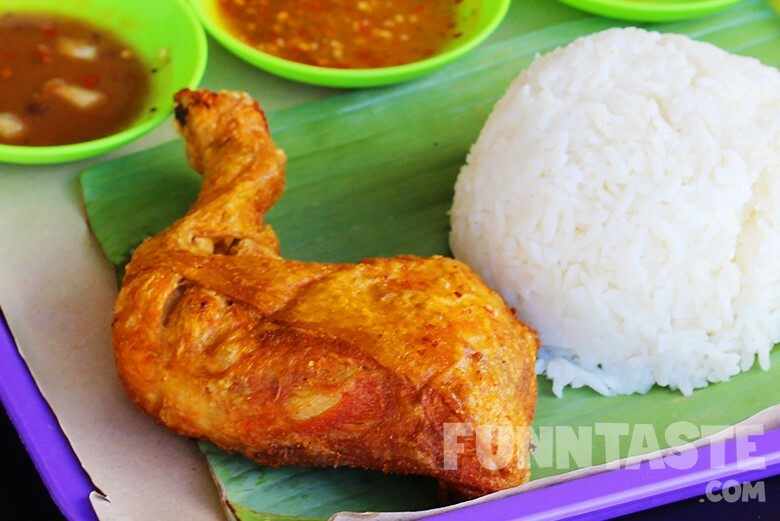 When combined the chicken and Masak Lemak, the flavours gel well together for an enjoyable taste. 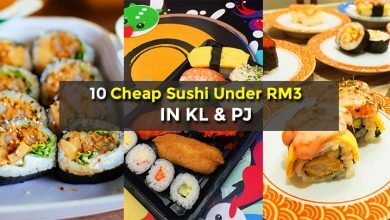 Taking everything into account, we would say RM7.50 is pretty affordable because the taste and portion size was satisfying. 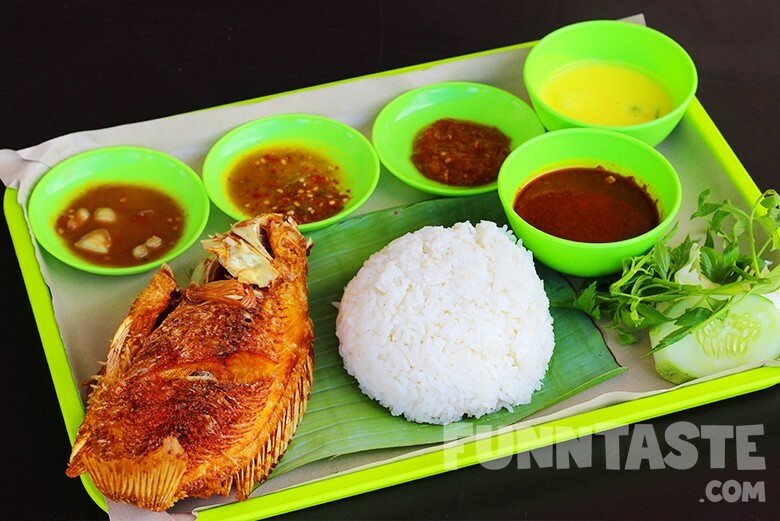 Set Dulang Talapia Merah @ RM9 – RM12 is probably the best value-for-money dish in Kajang. 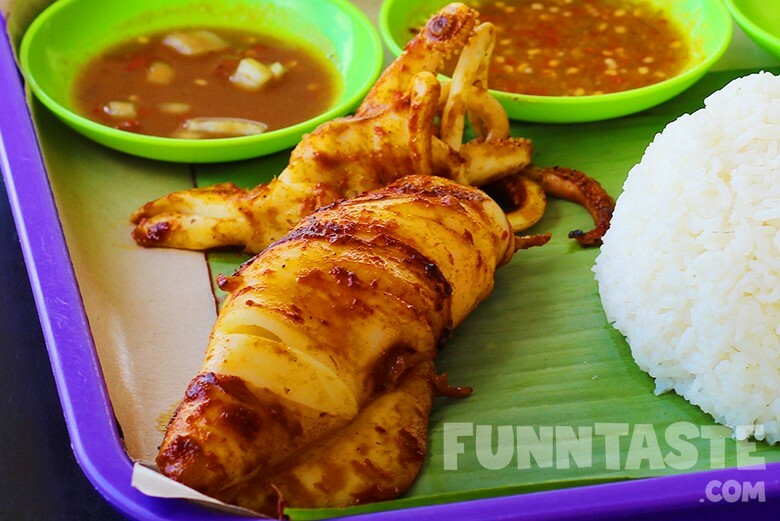 This dish, along with other fish dishes in Nasi Dulang Daun Pisang comes with an entire fish and cost below RM10. 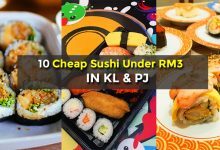 It’s impossible to find a dish with such great value around Petaling Jaya or Kuala Lumpur area. Just like the Chicken, the Talapia Merah is also fried-to-order which means you’ll be getting it hot and crispy. The fish is marinated in a base of turmeric and other spices before frying for 5 minutes upon order. 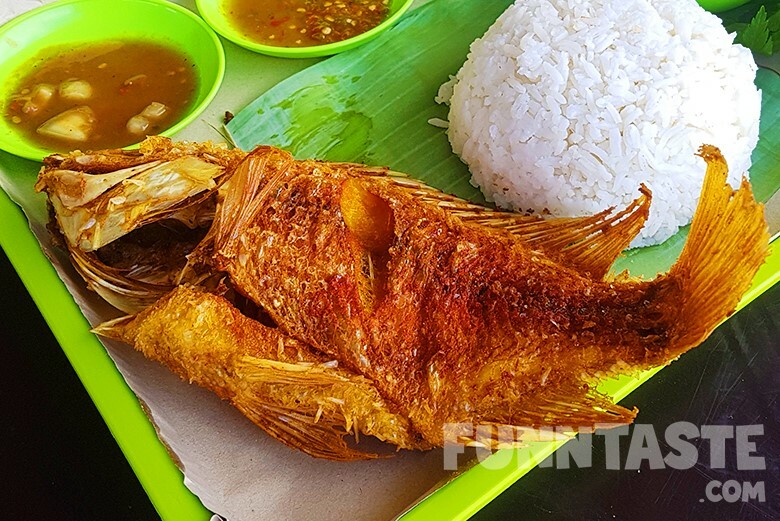 We found the Talapia Merah to be quite fleshy and that crispy texture combined well with their amazing Masak Lemak. 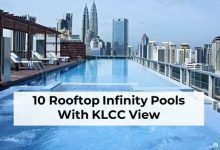 Interestingly, this set also comes with a small bowl of fish curry which tasted quite delicious, but we still prefer their Masak Lemak. 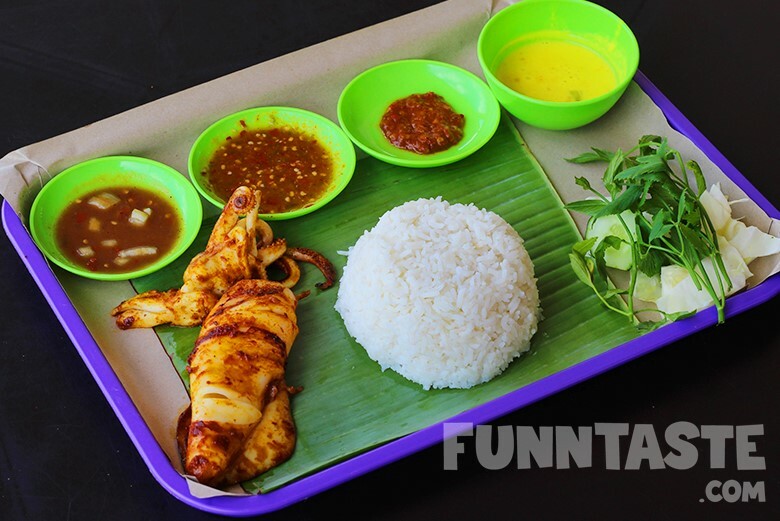 For an affordable and enjoyable seafood meal, you may want to consider the Nasi Dulang Sotong Bakar (RM12 – RM15, depending on size of the squid). Taste wise it was delicious simply because the squids were extremely fresh. 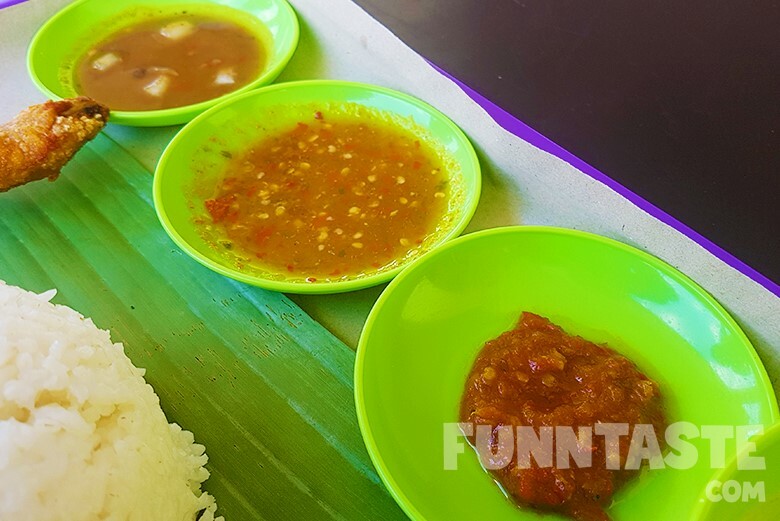 The flesh is quite firm and the sambal is nicely prepared with a good consistency. 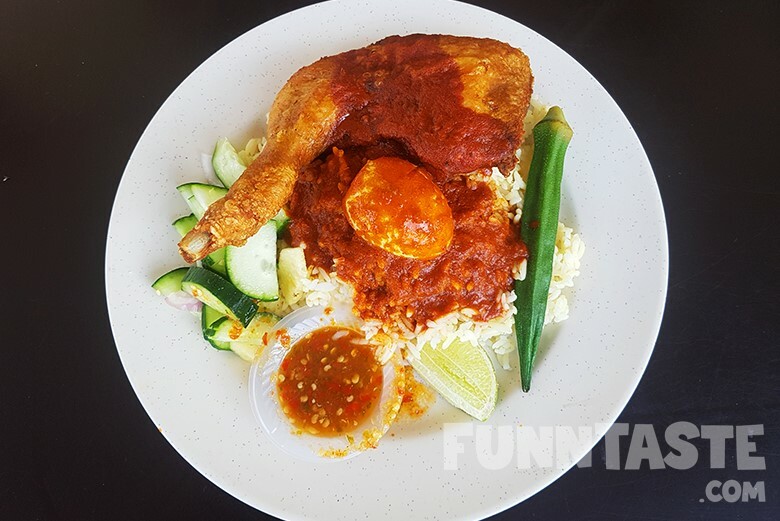 Although Nasi Dulang Daun Pisang markets itself as a Nasi Dulang spot, their Set Nasi Ganja Ayam @RM7.50 is a MUST TRY for Nasi Kandar lovers. 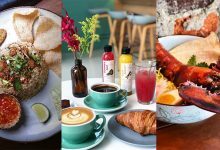 Each Nasi Ganja set comes with half boiled egg, okra, quarter lime, pineapple and cucumber and sambal belacan. 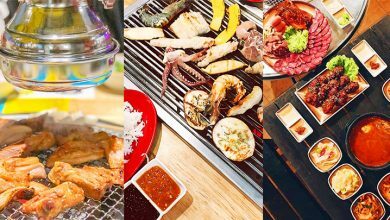 We liked how the restaurant implemented innovative elements such as sambal belacan and limau which indeed help boost the taste. The best part of this dish is definitely the homemade kuah ganja which was thick and flavourful. The restaurant owner insisted us to try 7 of their most popular and colourful drinks which they are extremely proud of. 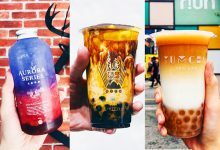 The drinks here are certainly pleasing to the eye and makes up good Instagram pictures. 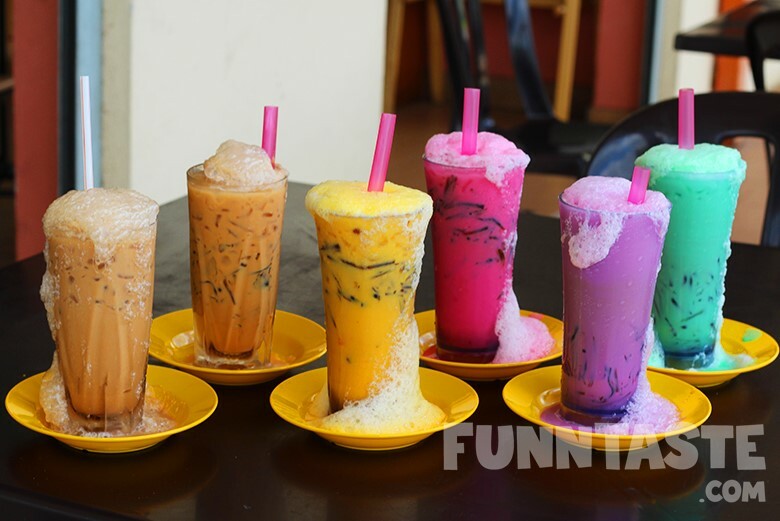 From left to right: Teh Tarik Madu (RM4.50), Teh Tarik Cincau (RM3.50), Jagung Cincau(RM3.50), Bandung Cincau (RM3.50), Keladi Cincau (RM3.50), Pandan Cincau (RM3.50). 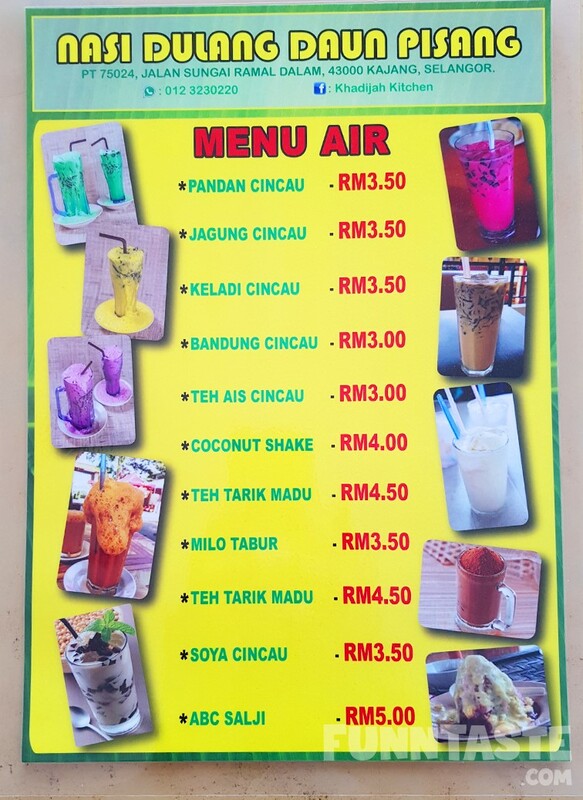 The one that stood out the most was their Teh Tarik Madu which is Nasi Dulang Daun Pisang’s signature drink. It was sweet from the natural sweetness in the honey and was the perfect way to wash down all the spices. 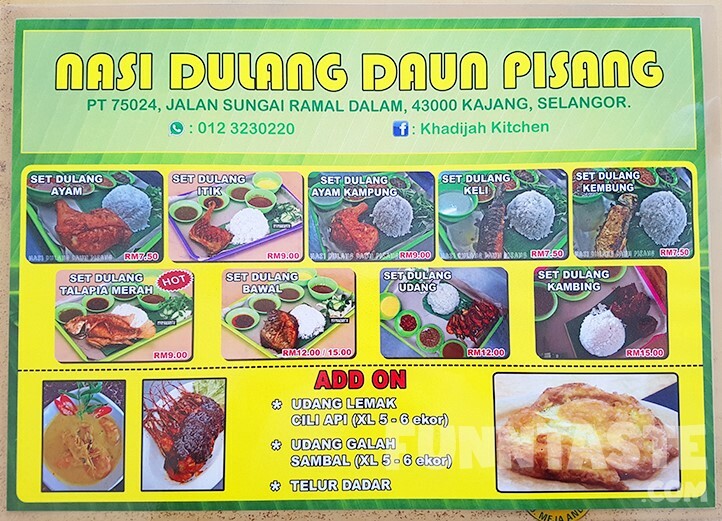 Although Nasi Dulang Daun Pisang is popular around Sungai Ramal area in Kajang, it’s a real hidden gem for us living in the city. The food here is quite affordable and undoubtedly delicious, the Nasi Ganja alone is enough to make us drive 30km into Sungai Ramal. 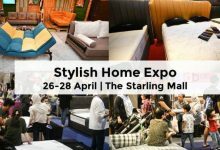 This article is written in collaboration with Nasi Dulang Daun Pisang.